The idea of building the monument belongs to professor Petras Vasinauskas, and it was created by sculptor Vladas Vildžiūnas and his assistant architect Rimantas Dičius. The monument was created from bronze and stone. It reminds us of one of the most prominent events of the past – the 1863 Uprising. 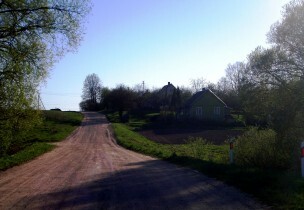 At the end of October of that year, a group of 200 rebel infantry soldiers and 20 riders were ambushed by Tsar's army in Daniliškis farmstead not far away from Šventybrastis. 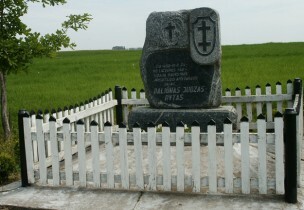 A monument was built in 1998 in Padotnuvis village, in the place of death of the leader J. Paliūnas "Rytas" of the Lithuanian partisans of the "Resurrection" county. Author Juozas Meškuotis. 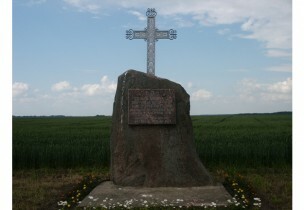 On 21 June 1992, a large 8 m high stainless steel cross with a polished stone plate placed at its base was built in Guptilčiai. 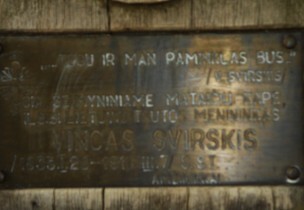 The plate contains the sign "This is the place where Mykolas Valaitis, born on 1907, was killed on 1950 12 28 / Vincas Štuikys 1929 / Alfonsas Mankauskas 1928 / Alfonsas Urbonas was injured / You have won the fight for freedom". 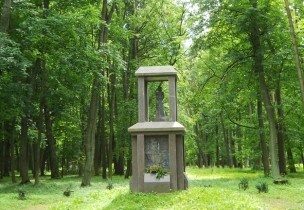 B. Kundrotienė was the author of the monument's project. The stone was placed in the place of the former homestead where the partisans were killed.